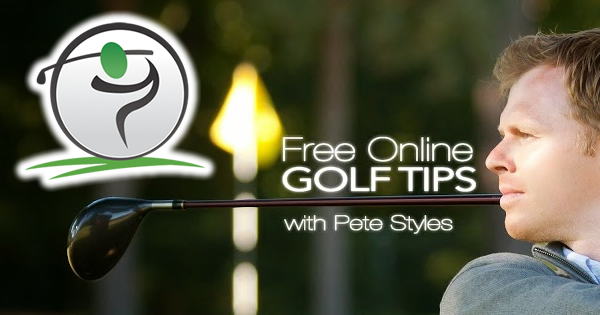 Use the golf tips below in your to improve your top of the swing position. The top of the swing occurs right after the backswing, when you stop coiling your hips and shoulders back. 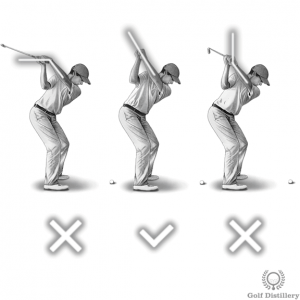 The top of the swing is followed by the downswing, which involves bringing the hands – and club – back down as you uncoil your upper body and prepare for impact with the ball. 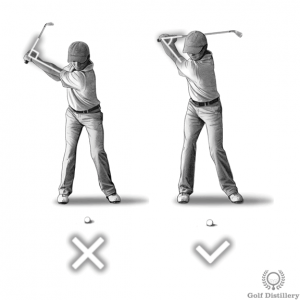 At the top of the swing your wrist should be fully hinged. However, you’ll need to make sure that in addition to the hinge, your wrists don’t bow or cup. 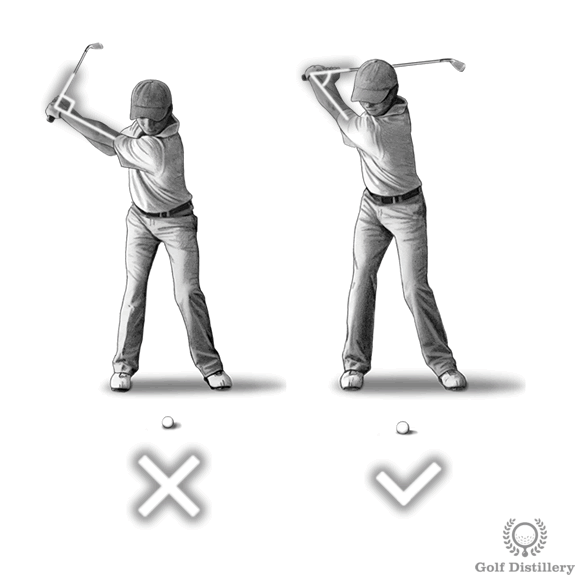 A bowed left hand does not line up with the forearm but rather breaks towards the ground, as if the club was too heavy. A cupped wrist is the opposite and will see the top of the left hand curl up. Ideally, the top of the left hand lines up with the rest of the forearms and upper arm. At the top of the swing the shaft of the club should be pointing straight ahead, at the target. Or more precisely, on a line parallel to the target line. It should not be in a laid-off position, which occurs when the shaft is pointing to the left of the target. Or alternatively, it should not be across the line, which happens when the shaft points to the right of the target. 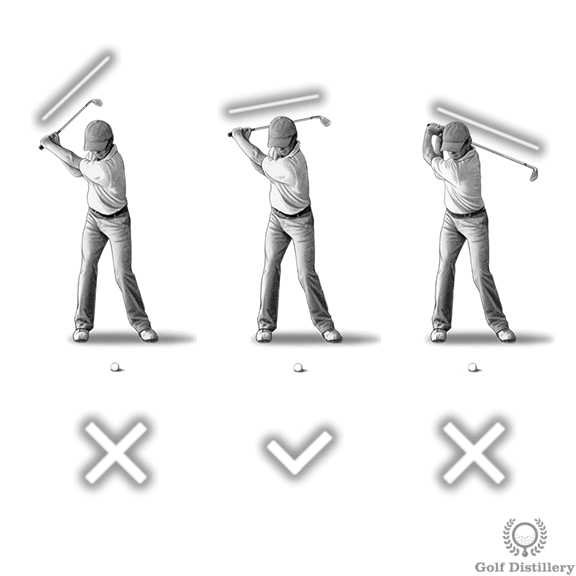 At the end of the backswing, your hands should stop rising when the shaft of the club reaches the point where it is parallel to the ground, or just shy of that position. Indeed, a full wrist hinge combined with adequate hip and shoulder rotation should prove plentiful in bringing the club to this enviable position. This is in contrast to over rotating your upper body or flexing your left elbow which will bring the shaft beyond the parallel position, which is unnecessary and should be avoided. 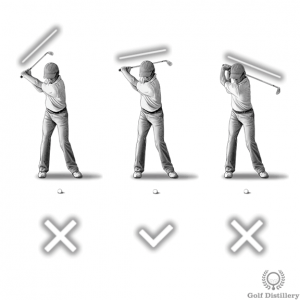 Otherwise, not rotating your upper body enough (or hinging your wrists) will leave the club shaft short of the recommended position and should be avoided as well for full swings. 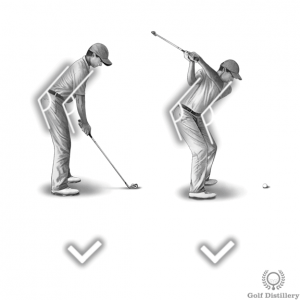 The correct spine angle was determined while setting up for a golf shot at address and that spine angle should be kept intact during the backswing all the way to the top of the swing. This is in contrast to seeing that spine angle modified as the club is brought up. 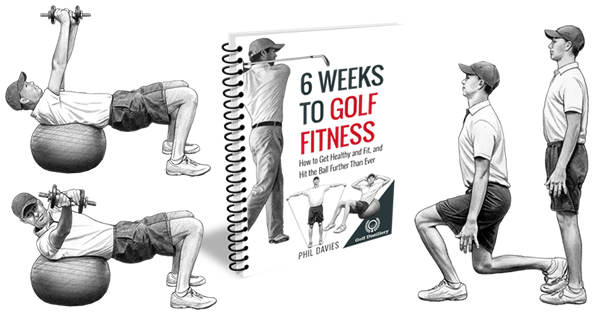 Indeed, a notable swing flaw will see a golfer bending his upper body forward and down on the way to the top of the swing in what is referred to as the failing to maintain your spine angle swing error. 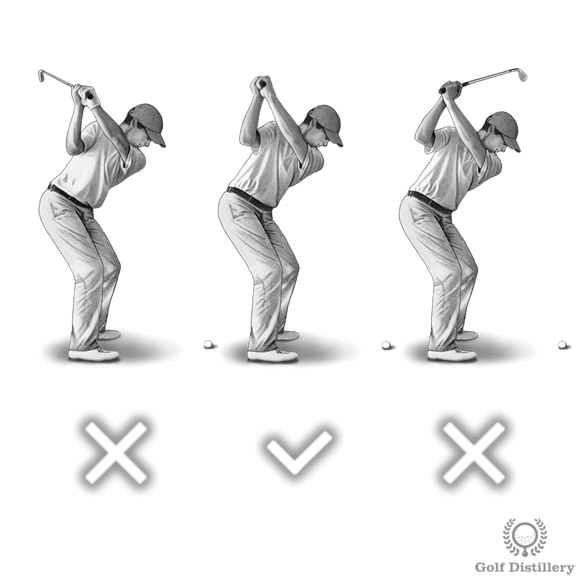 At the top of a full swing your back should be facing the target. This only happens when you correctly rotate your hips and shoulders. This is in contrast to overextending – or over-rotating – that will see your back go past the point where it faces the target ahead. 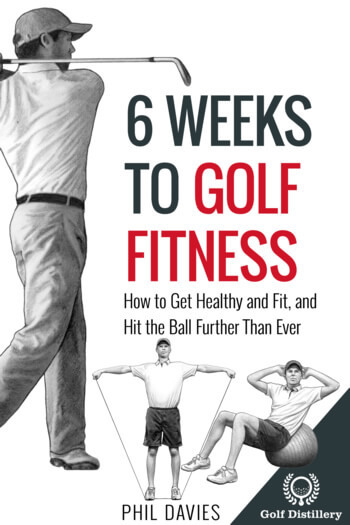 It is also in contrast to seeing your back not reaching that point because of insufficient hip and shoulder rotation, which happen in all-arms swings, notably. 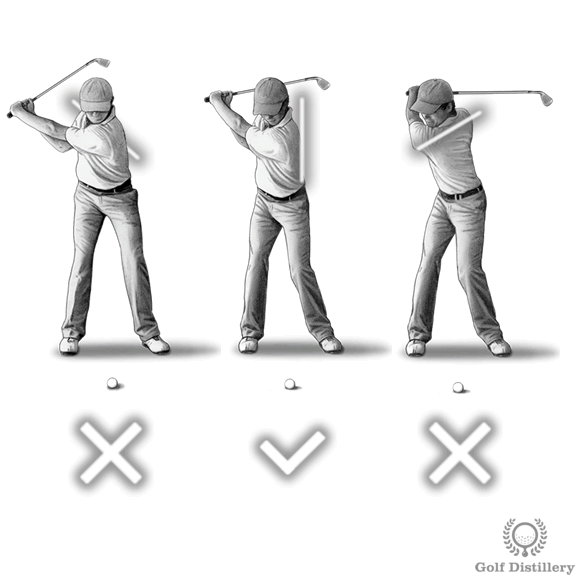 The process of hinging the wrists should begin gradually as the shaft of the club is parallel to the ground and end at the end of the backswing, at the top of the swing. At that position, the wrists should be fully hinged. 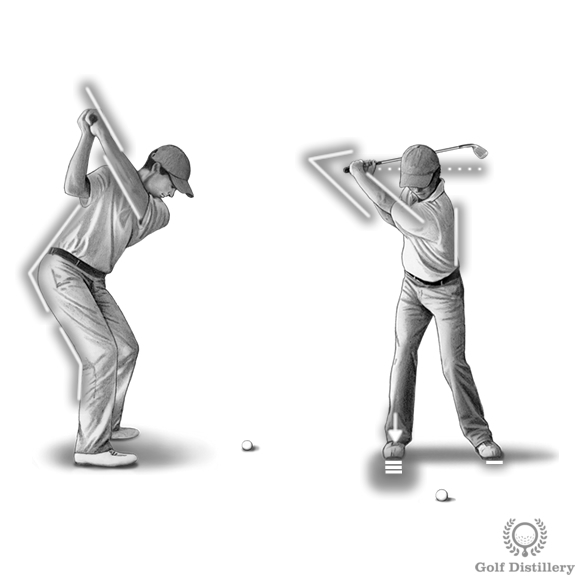 This is in contrast to reaching the top of the backswing with wrists that are not fully hinged, or to reach the correct position through a mistimed or sudden hinging of the wrists.